With over 10 years of office administration experience and a bachelor’s degree in Hospitality Management from Purdue University, Kellie Commons brings a plethora of technical know-how and invaluable insight to her role as Saz’s Hospitality Group Human Resources Manager. Her personal philosophy and eagerness to help those around her is what propels her to make decisions that strengthen the productivity of our entire office, across all departments. 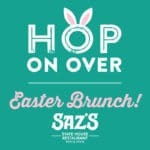 And yet, it’s her willingness to adapt and get ahead of the ever-changing hospitality landscape that makes her such an integral part of the Saz’s team, continuously asking the right questions and being available to handle nearly any task when an opportunity presents itself. Kellie not only manages all things numbers when it comes to billing, she takes on the commanding role of facilitating our administrative process and procedure, as well as working with our entire team to better understand the needs and wants of our clients. When Kellie steps away from the office, she enjoys spending time in the kitchen, cooking as often as possible in what she considers her favorite room in the house. But continuous learning is still a major part of what drives her, as she is currently pursuing her MBA at Mount Mary University. Kellie understands the importance of having a good work/life balance, though. She’s an avid runner, loves to read and adores spending quality time with her daughter. Her love for her community extends to her involvement in various community-based organizations, including the East Tosa Alliance, a nonprofit group in Wauwatosa that encourages and advocates for economic sustainability and growth in East Tosa.  With her commitment to helping others, it’s no surprise that she excels in such a demonstrative role with Saz’s Catering.